Sound module SONATTER® TM4 allows uncompromising imitation of playing natural instruments, in particular the structure of Alpine quintet. If you strive for perfection, SONATTER® TM4 is definitely the best choice for you. High end sound module with sound libraries created in our studios. With sound module SONATTER® TM4 you can enjoy all styles of music – entertainment, folk, rock, jazz, pop, classical, Alpine music, etc. The sound module SONATTER TM4 is high-end sound box. It will lift your MIDI device, installed in piano- or button accordion or diatonic, into new height. You can enjoy all styles of music – Alpine, entertainment, folk, rock, jazz, pop, classical, etc with SONATTER. Using the unique and patented funktions TOTTER MIDI GUITARIST®, TOTTER MIDI QUINTET® and ACTIVE CHANGE® of instruments you will achieve enviable perfection in imitation of orchestral music, particularly with an emphasis on the structure of Alpine quintet. 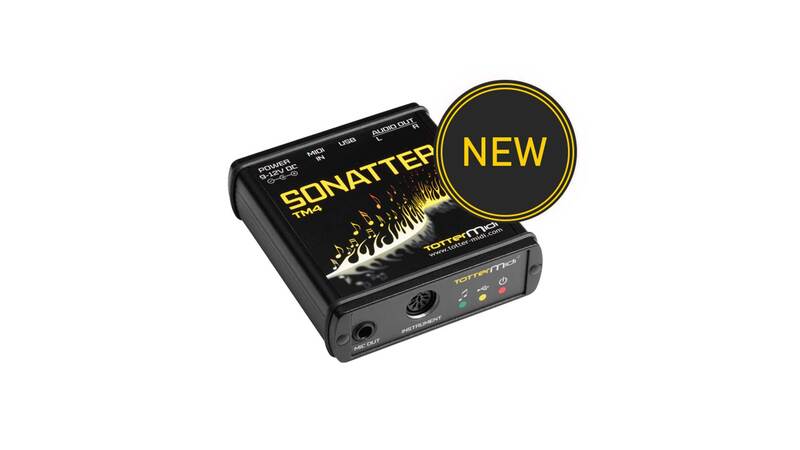 The sound module SONATTER TM4 is an universal product which is also suitable for other manufacturers’ MIDI systems. It’s very easy to use. Sounds and Firmware can be uploaded or upgraded with an USB key. Using the SONATTER TM4 sound module, you can avoid carrying keyboards or other large equipment. Make sure on your own ears! You can test all our products yourself! Need more informations? Please contact us.